Checking in ... all is well. Enjoying summer days and long evenings, even the cool, rainy ones. Peonies blossom at last. Purple petunias send out their spicy perfume on a breeze. The mock orange seems bent on filling the backyard with a crazy sweetness. Add the indescribable aroma emanating from the evening scented stock in the cool of the day ... and one imagines she must be standing in a patch of paradise. With Canada's 150th birthday almost here, I created a list of a few of my own Canadian favourites. I started the list on Facebook the other day and wanted to share it with you here. Music: Postcards from the Sky by Canadian composer Marjan Mozetich. Children's TV Program: Mr. Dressup is another iconic Canadian favourite. I can still hear his voice in my mind even all these years later, and I loved his Tickle Trunk full of play clothes and costumes. The Famous Five: Emily Murphy. Nellie McClung. Henrietta Muir Edwards. Louise McKinney. Irene Parlby (Champions of the rights and welfare of women and children in early 20th century in Canada). Grateful for the paths they paved for us. Sport: Hockey, Edmonton Oilers especially during the Wayne Gretzky era; he is my favourite all time player. Our Canadian Anthem: I am always deeply stirred when I hear Oh Canada sung. Love it and am proud of it. Canada is my country ... it's my favourite. Alberta is my home province ... it's my favourite. My sister reminded me of a post I wrote a few years ago about summer, hot dogs, and a very nice fried onion relish we used to make years ago when we'd come back from swimming on a hot summer afternoon with the kids. If you are looking for something to jazz up your next wiener roast, here is the link to Hotdogs, Relish, and Remembering which includes the recipe for Fried Onion Relish. It really is delicious. Who can get through summer without reading something to match the mood of the season. Sometimes I want something I've never read before, but more likely, I tend to reach for a book that's an old friend. Even though I have my own copy, when I saw L.M. Montgomery's Anne of Avonlea sitting on the summer recommended shelf at the library, I checked it out. Haven't read it in years. A nicely bound pocketbook, it holds well in one's hand; it also easily slips in a carry all bag... or even in a pocket. As always, a beautiful post. I can just about smell the flowers through the page. Mr. Dressup sounds like a fun program, and thank you for explaining what beaver tails are (I was hoping you didn't mean the real thing, LOL). Speaking of Anne of GG -- have you ever been able to visit PEI? I go there often in my day dreaming. That line about many things worse than a husband made me smile. 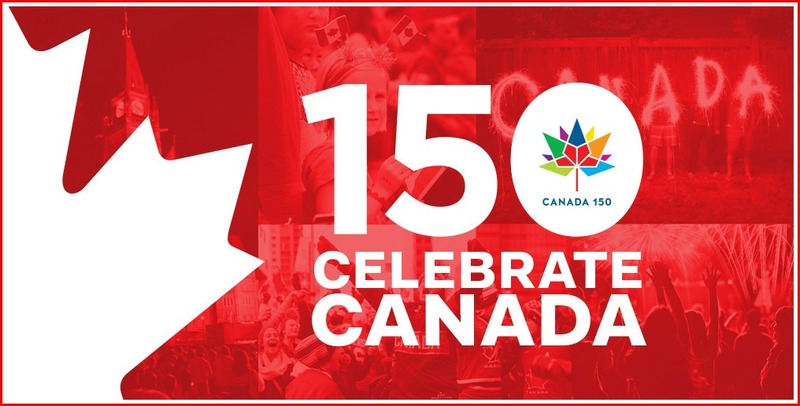 Love seeing your list of all the wonderful things that speak Canada - hope you have a wonderful celebration for the 150 years. Hugs! Happy Birthday to Canada! I love Anne! Great quotes! Your posts make me feel good! Happy Canada Day, Brenda! Loved reading your list. How true that simple pleasures make for the sweetest days. 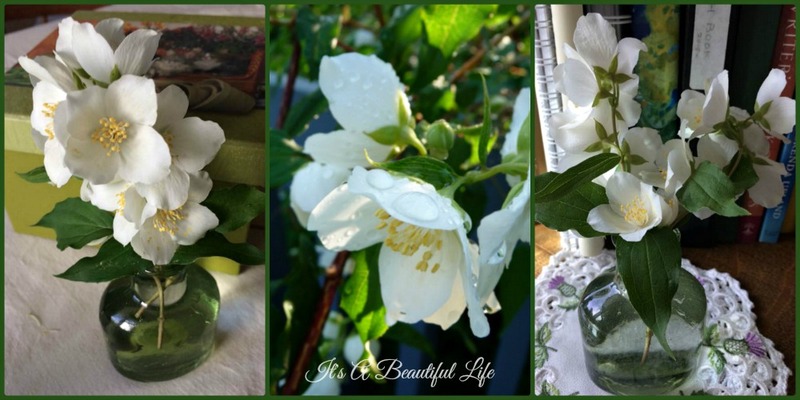 Your mock orange looks spectacular. I enjoyed reading your list. Brenda: I so enjoyed reading your list. 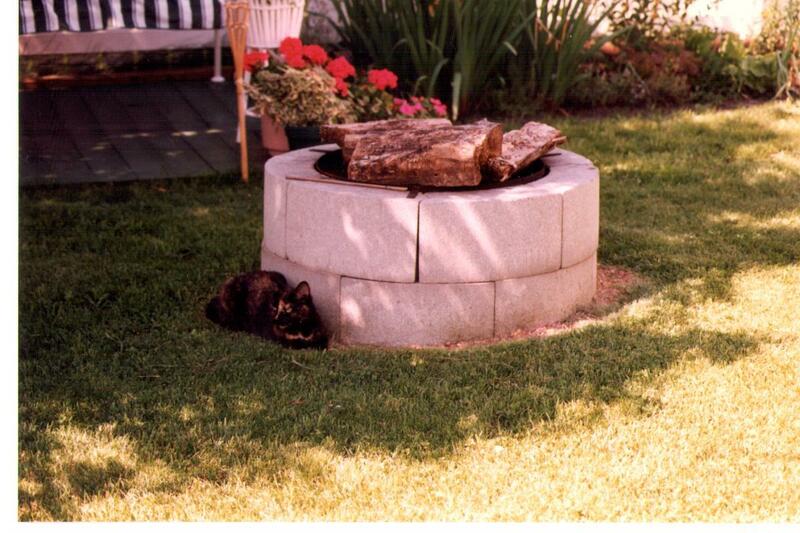 I have wonderful memories of our visit to Canada many years ago. The white birch trees will be forever with me. We are blessed beyond measure to have Canada as our friend and our neighbor ! Happy Canada Day, Brenda! I enjoyed your list of Canadian favourites--many are my favourites too, especially Mr. Dress-Up and his tickle trunk too! Anne was my hero growing up and I still adore her. Someone told me that there is a new TV series out, based on the books. Happy Canada Day, Brenda! Happy birthday to Canada! I loved reading all your favorites! I confess I didn't read the Anne books until I was an adult, but when I finally did I devoured them! Such wit and charm... Montgomery could write a blue streak. Too bad we don't have more from her pen. And then those movies... just the perfect screen adaptation! Megan Follows and Colleen Dewhurst could not have been more perfect for those parts (and Jonathan Crombie... was sad to read of his passing.) Amazing cast, scenery, and filming! Lovely post.